GLASSBORO — Ms. Mary Aruffo’s 5th grade class at Thomas E. Bowe School collected hundreds of items from their school that were on the ‘Wish List’ for the Gloucester County Animal Shelter. The donated items were presented on Friday, Dec. 19 to Freeholder Dan Christy, Liaison to the Gloucester County Animal Shelter (GCAS), Bill Lombardi, GCAS Director and Freeholder Heather Simmons. 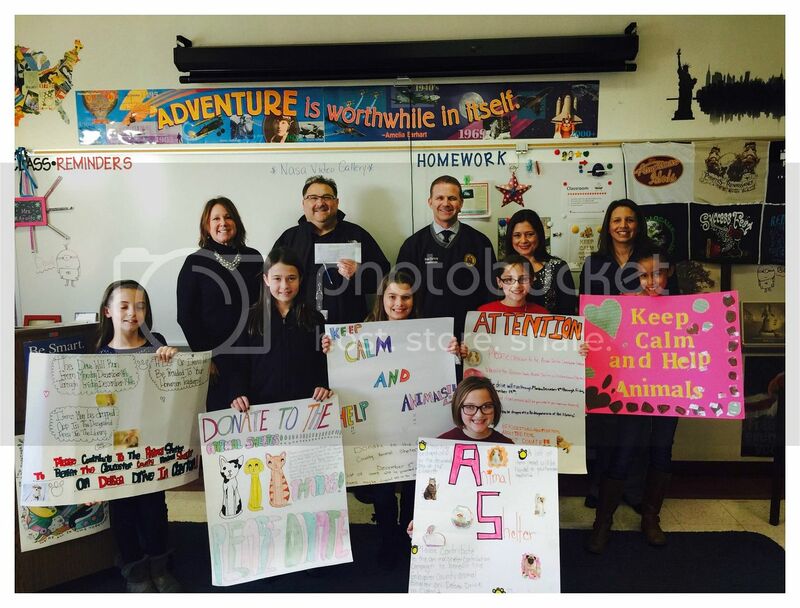 Freeholders Christy and Simmons presented certificates of appreciation to the students for their work on behalf of the animals.